Debate: should palliative medicine physicians be required to certify in their primary specialty? 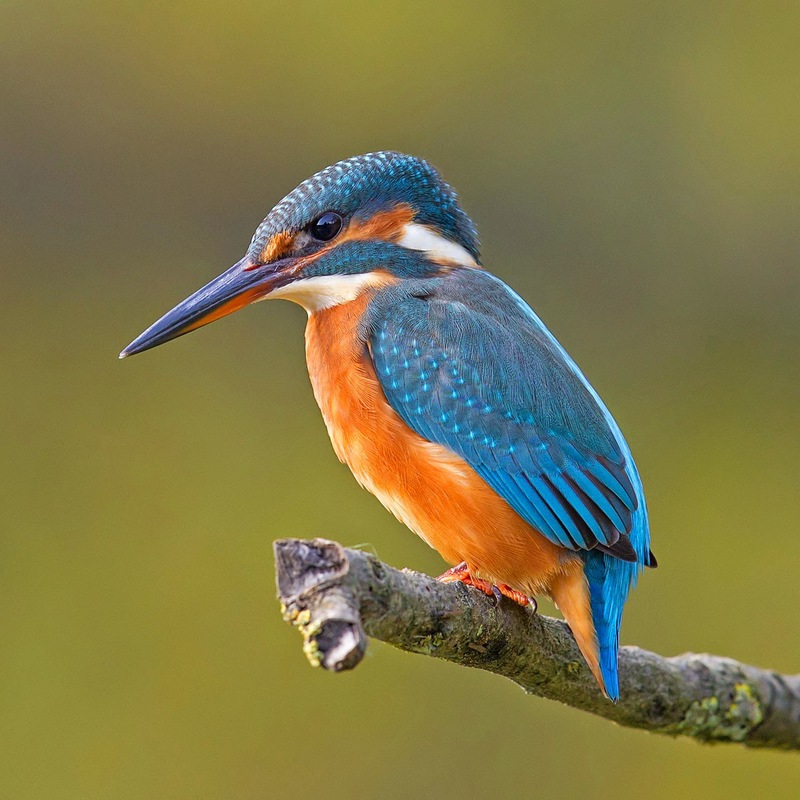 Cool picture of Kingfisher from Wikimedia Commons - has nothing to do with the post. It's been 10 years since I became certified in Internal Medicine, and that means it's time for me to re-certify. My clinical practice is small, as I'm mostly a researcher. The entire focus of my clinical practice is palliative care. I used to attend on the wards, but I don't anymore. Can I just say how much I hate studying for the boards...again? MKSAP again? Really? Why am I reading about some obscure disease that I have no interest in remembering as a palliative medicine physician? Hospice and Palliative Medicine is one of the few sub-specialties to require board ongoing maintenance of certification in the clinician's primary area of specialization - be it internal medicine, family medicine, pediatrics, radiation-oncology - whatever it may be (medicine subspecialties count - you could be certified in Oncology and Palliative Medicine, without maintaining your internal medicine certification). Cardiologists, gastroenterologists, oncologists, you-name-it-"ologist" are not required to maintain certification in their primary area of specialization. Same goes for Geriatricians - they're not required to maintain primary board certification either. You can be a geriatrician and never re-take the internal medicine or family medicine boards again in your life. Some people are starting to question if palliative medicine physicians be required to maintain certification as well. Maybe we should only be required to maintain certification in hospice and palliative medicine. Seeming tangent: A recent article in the New York Times decried social media as stifling debate. We surround ourselves in our online worlds with like minded people, contributing to the polarization of America. Therefore, in the spirit of promoting debate in social media, I will now debate myself about requiring palliative medicine physicians to maintain certification in their primary specialty. I will enumerate points, as my brother (a debater) might do on debate cards. 1. Requiring primary specialty certification is less politically threatening to specialty boards and societies. Palliative medicine is not "stealing" their business. Without this requirement, many people would abandon certification in their primary specialty. This might jeopardize these important relationships and support from our specialty societies. Palliative medicine becomes a competing specialty, from their perspective, rather than a sub-specialty. 2. Palliative medicine doctors have to be grounded in a specialty. Palliative medicine is unique in that people come to the profession from so many diverse specialty backgrounds - in fact palliative medicine set a record for the number of sponsoring boards when it went up for accreditation. 3. We are better doctors with our specialty certification. Grudging admission - some parts of studying for the boards have been refreshing. There are things I feel happy re-learning that may be important to the care of my patients. I read a MKSAP question about osteonecrosis of the hip yesterday, and was reminded of patient with a cancer who had been on long term steroids and developed hip pain. Without the broad differential, we would have assumed it was due to metastatic disease and never considered osteonecrosis. 1. Specialty certification is not useful clinically. For those of us who only practice palliative medicine, there is little need for learning the vast majority of stuff required for core specialty certification. 2. Taking the time to re-certify, including board prep and maintenance of certification, comes at a cost. There is a limited amount of space in our brains. As I'm stuffing internal medicine knowledge back in my brain, I worry that I may be excreting important palliative care knowledge. (This may not be true - I may be excreting unimportant fantasy basketball knowledge). In any case, time spent studying for core certification is time not spent learning and practicing palliative medicine. 3. It also comes at a monetary cost. Board certification is expensive! I just dropped several Benjamin Franklins on board prep material alone. Total cost is easily over a thousand, and that money comes out of my salary, not grant funding. In 5 years, I'll be paying and going through the studying again for palliative medicine. More people might certify in palliative medicine if they didn't have to ALSO maintain certification in their primary specialty. 4. Palliative medicine is its own specialty. We are as deserving of being a stand alone specialty in our own right as any other field (oncology, geriatrics, etc). Why should we be held to a different standard? It demeans the field. If I was not required to maintain certification in my primary area of internal medicine, would I do it? I'm not sure, though I think the answer would be no. It's just not worth it to me to go through the process. What do you think? What would you do if not maintaining your certification was an option? Even though part of me would be sad to lose the possibility of doing general medicine again, I'd be in favor of dropping the requirement to recertify in primary boards. Way too expensive (monetarily and time-wise) to be worth keeping my IM certifcation. Good news for those boarded in both Geriatrics and in Palliative Care. So in order to maintain certification in Hospice and Palliative Medicine, you must also maintain ABIM certification in either Internal Medicine or a subspecialty. Maintaining certification in Geriatric Medicine will satisfy this requirement as it is a subspecialty, so you will not need to maintain Internal Medicine. I agree with conclusion of the article re recertifying in our primary specialty. I am Board certified in Emergency Medicine, a specialty pretty far removed from the hospice work I do now. I haven't set my foot into an ED in 4.5 years, yet plan to take my ABEM recert exam next month. Exam fee is $1800, Board prep course was over $1000 including lodging and travel expenses, and ABEM requires annual testing, for a fee of course. I would vote against continued MOC in my primary specialty and, in order to develop credibility with the other medical specialties, to begin to develop our own unique HPM competency measurements. I am a solo practitioner of geriatric medicine and recently recertified in internal medicine and geriatrics. For me, it was not worth the expense or time (particularly internal medicine). As much a I like to stay "up to date" I do not feel recertification serves this purpose. My money and time would have been much better spent attending a conference (something I do rarely now due to expenses). Anon, I only know for internists, not FP as I sent the ABIM an email asking them this very question. They were clear that to maintain certification on palliative medicine, one needed ABIM certification in either Internal Medicine or a subspecialty, which geriatrics is in IM. I do hope that others like ABFM 'see the light'! Ugh I am also plodding through MKSAP and just sat through. 3 day board review course. Yes I love medicine but I practice solely in the palliative care world with occasional steps into geriatrics. I would support removing the requirement to maintain my certification in internal medicine. Where do we start? "Plodding" is the right term. I spent my vacation last week plodding through MKSAP. I'm not sure how we would advocate for this change, does anyone else know? Appreciate the commentary and can see both sides of the issue. As a family physician who is now doing only Palliative Medicine, facing the board exam in 2 years for the 6th time is daunting. Yes, I appreciate the updating of my knowledge base, but the time, cost and livelyhood risks are very high. If I am not boarded in ALL required areas, I lose my job. Would certainly be in favor of this requirement going away. Great discussion. AAHPM has been monitoring opportunities to advocate for giving physicians the choice (based on their practice) to maintain a primary certification or not and still be able to maintain their subspecialty in HPM. AAHPM has two representatives that serve on the ABIM Liaison Committee on Certification and Recertification that meets twice each year. Our next meeting is in a few weeks and we can take these comments with us to this meeting. We are also working to have conversations with key people at the various boards that co-sponsor HPM. ABFM is different and has historically been very committed to primary care and maintaining that broad base of knowledge. I don't hear anything that makes me think that will shift at this time. This conversation and the "voice of the member" is critical to inform and affirm the message from AAHPM to the various Boards. I spoke with an ABFM board member about this earlier this year. FPs should plan on maintaining FP board status. Peterson LE, Blackburn B, Phillips RL, III Manious A.
Galliher JM, Manning BK, Petterson SM, Dickinson LM, Brandt EC, Staton EW, Phillips RL, Pace WD. J Am Board Fam Med. 2014 Jan-Feb;27(1):19-25. Lipner RS, Hess BJ, Phillips RL, Jr. Specialty board certification in the United States: issues and evidence. J Contin Educ Health Prof. 2013 Sep;33 Suppl 1:S20-35. Maintenance of Certification and Its Association With the Clinical Knowledge of Family Physicians. Maintenance of Certification and its Influence on the Clinical Knowledge of Family Physicians. Puffer JC , Bazemore AW, Jaen CR, Xierali IM, Phillips RL, Jones SM. Engagement of family physicians in maintenance of certification remains high. J Am Board Fam Med. 2012 Nov;25(6):761-762. Sumner W, O'Neill TR , Owens PL, Schootman M, Hagen M.
ABFM Examination Asthma Item Performance and Asthma Prevention Quality Indicators in Kentucky. Journal of the Kentucky Medical Association. 2012;110:7-10. Puffer JC , Bazemore AW, Newton WP, Makaroff L, Xierali IM, Green LA. Engagement of family physicians seven years into maintenance of certification. J Am Board Fam Med. 2011 Sep-Oct;24(5):483-484. Xierali IM, Rinaldo JC, Green LA, Petterson SM, Phillips RL, Jr., Bazemore AW, Newton WP, Puffer JC. Family physician participation in maintenance of certification. Ann Fam Med. 2011 May-Jun;9(3):203-210. I suppose I'd be more against letting the FP Board Cert. go if I felt that studying really helped me care for my patients better. I put a LOT of time into it as my personal strategy for confidence in multiple choice exams includes knowing I've prepared thoroughly. Sadly, I really do not find Board prep helps me much, certainly not in relation to time or money in caring for patients. Further, the MOC modules are useless. A total waste of time. Truly an exercise in patience is the only positive I've found to date with them. No offense to those who try and make it useful - I can see they are trying VERY VERY hard. It's just hard replicating the complexity of our job and our critical information usage (ie - being human) in a computer simulation. So, I'd recommend stand alone HPCM re-cert. for the above reasons too. I am squarely in the camp of getting rid of the requirement of keeping your primary board certification. I am boarded in internal medicine and HPM and would need to recert in IM in less than two years! Let's please make this happen soon! Thanks to all the commenters. Big shout out of thanks to Julie Bruno from AAHPM for her perspective as well. Sounds like the feedback is helpful! Keep the comments coming! Thanks for your comments. Julie Bruno and I have another meeting at ABIM on September 15th and I will be sure to seek every opportunity to share your feedback. Thanks Tara! We look forward to hearing what they say. The grade point average is the evaluative summary of one's academic performance in school and college. The overall score may depend on several factors such as the grading standards in the institution and ranking of the school or college. Superior Papers discounts for all kind of papers writing and it is very essay from others any writing service providers. Have we heard any results from the Sept. 15th meeting? I, for one, agree with getting rid of the recertification requirement in Internal Medicine. I have seen some argue that if you are unable to pass an exam every 10 years, you shouldn't be practicing. Well, I agree, but I would also say that the corollary should be true as well. If you're not practicing in Internal Medicine, you shouldn't need to recertify. However, those who are unsure of leaving Internal Medicine forever, should consider maintaining their certification. And I'd like to know what will happen when the MDs and DOs combine residency? Will the DOs now lose the ability to certify for life when they finish residency? It is unfair that the DOs of the past who now hold certification in HPM never need worry about recertification.